Scuba Travel - How to Book? Are you one of Scuba Travel's repeat customers? 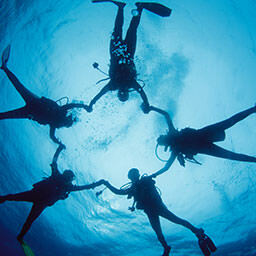 Over 60% of our customers trust Scuba Travel to book their next diving holiday… time after time. And we believe you deserve a huge thanks for your ongoing support over the years, which is what our loyalty discount is all about! If you have booked directly with Scuba Travel, on your 3rd full price holiday you will automatically be eligible for a loyalty discount. That's all you have to do. No forms, no numbers to remember, no fuss, just a good honest price reduction. We are always happy to offer discounts as described below but these are not cumulative and we do not offer further discounts on special offer prices. Unfortunately we cannot credit loyalty discounts on bookings made through agents or as part of a group booking. 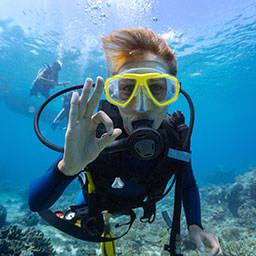 To qualify, your previous 2 bookings must be made directly with Scuba Travel as an individual. Looking for a full charter on a liveaboard? Please speak to the team if you would like a full charter on any of our worldwide liveaboards. Discounts and free spaces are available on worldwide liveaboards but these vary from boat to boat. To qualify you will need to be a renewed member of BSAC and do have your membership number to hand at the time of booking. We are always happy to offer discounts as described above but these are not cumulative and we do not offer further discounts on special offer prices. 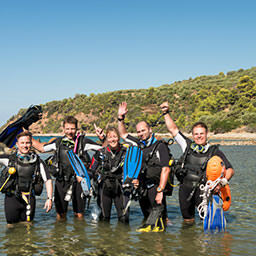 Throughout the year we run escorted holidays with photographers, freedivers and other experts. Unfortunately we are unable to offer any discounts on escorted holidays.